The dawn of the CBD-rich cannabis strain is upon us. Medical marijuana cultivation is experiencing a full-blown renaissance. We take a look at what makes a cannabis strain an effective pain reliever and some of best medical marijuana strains to grow in 2017. You probably already know that cannabis is widely thought to help manage pain, but with so many different CBD cannabis strains with various pain relief properties available, choosing the right strain can be difficult. Ah, but it’s difficult in a good way! Because these days you’re spoiled for choice when it comes to medicinal marijuana. Let’s take a look at the key factors that influence your CBD cannabis strain selection. The right strain is the one that effectively treats the particular kind of pain you suffer from and the strain best suited to your weed grow show. Get the right seeds dialed in and you really can become self-sufficient in medical cannabis. WHAT SORT OF PAINS IS CANNABIS THOUGHT TO HELP? 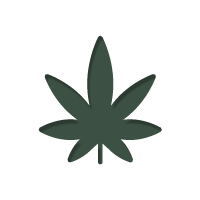 Cannabis is used to treat or relieve many types of pain where medical cannabis is legal. In some places, medical cannabis is becoming a standard treatment for nerve pain with MS patients. Also, the strong anti-inflammatory properties of cannabis are of benefit to arthritis sufferers. Many now see vaporisers and prescription medicinal cannabis buds as a genuine alternative to the conventional opioid pain medications that are highly addictive and come with too many deleterious side-effects that often require additional med’s to treat. Medical marijuana comes in many forms, and you don’t need to smoke cannabis to medicate. Everything from chronic pain to cuts and bruises are thought to benefit from THC and CBD concentrates and the products infused with these compounds. Sublingual or dropped under the tongue cannabis tinctures can take effect within 20 minutes and is perhaps the most effective method of pain treatment with marijuana extracts. CBD oil based tinctures are becoming globally available. However, saying all of this, if in doubt, please consult a medical professional, and make sure you are resident where medical cannabis is legal. CBD is the rising star of cannabinoids in the medical cannabis market. Traditionally, THC was always the singular focus of both cannabis breeding and scientific research. However, CBD has grown in prominence over the last decade, with it now beginning to overtake its psychoactive counterpart in the lab. CBD is most interesting because it is non-psychoactive and is believed to counter-balance the euphoric effects of THC. CBD medical cannabis products like Charlotte’s Web are even used by children in the USA suffering from Dravet syndrome, a rare form of epilepsy that previously required a cocktail of drugs to treat. Of course, THC is thought to have medicinal properties of its own, but it’s also responsible for the “high” - and of primary interest to recreational users. THC and CBD are believed to achieve synergy, and more research is needed into THC & CBD blends to exploit their combined effect. The good news is that CBD-rich strain breeding is already bearing fruit. CBD weed is the next generation of medical cannabis and patients can now choose between cannabis strains with an array of CBD:THC ratios. The scales are tipping in CBD’s favour at last. Indica strains like Purple Afghan Kush, Cream Caramel, and Northern Lights are wonderfully effective pain relievers due to their high THC content and subtle but meaningful CBD levels. They also taste as good as they look too. These heavy Indicas are commonly associated with the body stoned couchlock effect. Furthermore, the three above Indica legends are gooey resin dripping plants that are perfect for refining into ultra potent cannabis concentrates. Dense nuggs covered in frosty trichomes are the ideal material for hash extraction. Converting flowers into concentrates like pollen, Ice-hash, rosin or shatter opens up the possibility of medicinal dabbing and a more potent alternative to flowers for those that vape. Sativa strains like Amnesia Haze and Blue Dream have anecdotally been reported as highly effective for soothing the emotional and mental pains associated with depression, heartache, and cases of the blues. This kind of cannabis is “head stash” and genuine feel-good weed that’s been inspiring artists, musicians, and writers for centuries. Migraine sufferers also report easing of symptoms after consuming some Sativa nuggs. Sometimes high THC sativa-dominant strains can feel too racy for the inexperienced user. Moreover, the cerebral uplifting high from a Sativa is definitely at the opposite end of the stoner spectrum to the more chill and subduing Indica effect. If you want to go down the CBD route, then you need to grow the next-gen CBD-rich cannabis strains and find the variety with the CBD:THC ratio that works for you. The beauty of CBD weed is it gives the medical grower so many options. Buds can be smoked or vaped directly and even refined further into CBD oil. Traditional cannabis strains have been bred over countless generations specifically for maximum THC and with the recreational user in mind. Contemporary CBD strains, on the other hand, were designed with the medical marijuana patient in mind, so it’s only logical to crop CBD-enriched weed if you want the very best medicine. Kings Kush CBD by Greenhouse Seeds is an excellent choice for pain relief. Any medicinal user seeking a balanced 1:1, THC:CBD ratio should consider this Kush variety. For the most flavoursome medical cannabis and effective pain relief in a hurry, we recommend the CBD Auto Compassion Lime by Dutch Passion. In just 10 weeks from germination, delicious lime scented citrus buds with CBD at 9-10% and THC slightly lower at 8-9% can be harvested. The medical cannabis cultivator has never had it this good with the legalisation movement growing in strength by the day and the range of specifically CBD enriched medical strains on the market there’s never been a better time to grow your own medicine.